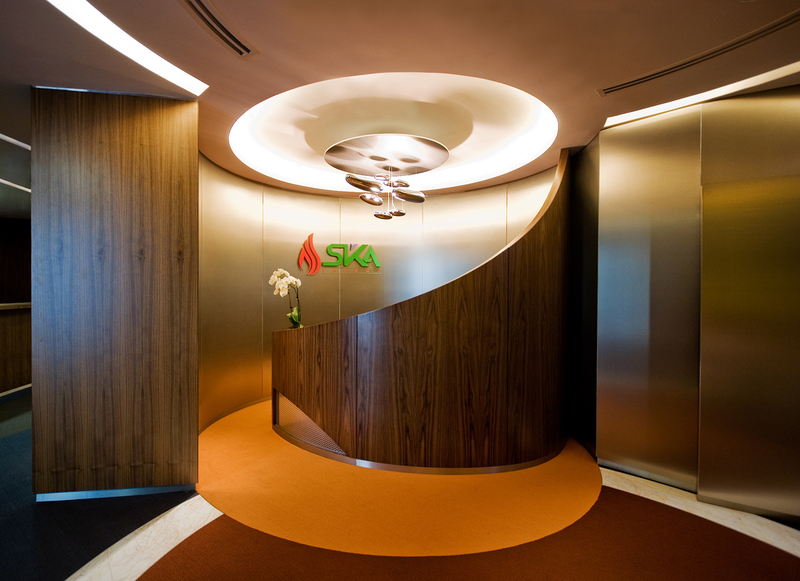 This unique project for SKA International Group creates an interesting non-typical corporate space that best convey to everyone that they are a multi tier air transport, logistic and integrated fuel provider for their SKA Energy office. 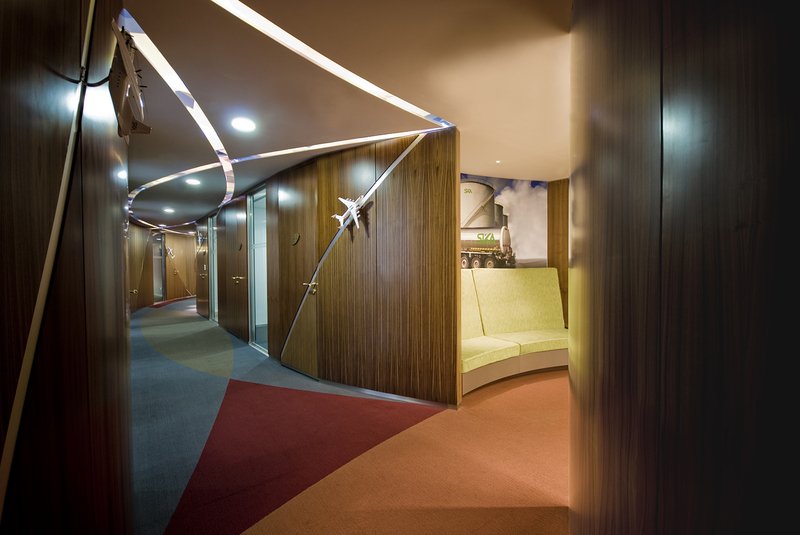 Our design inspiration was drawn from an “Energy Flow Wave” image. 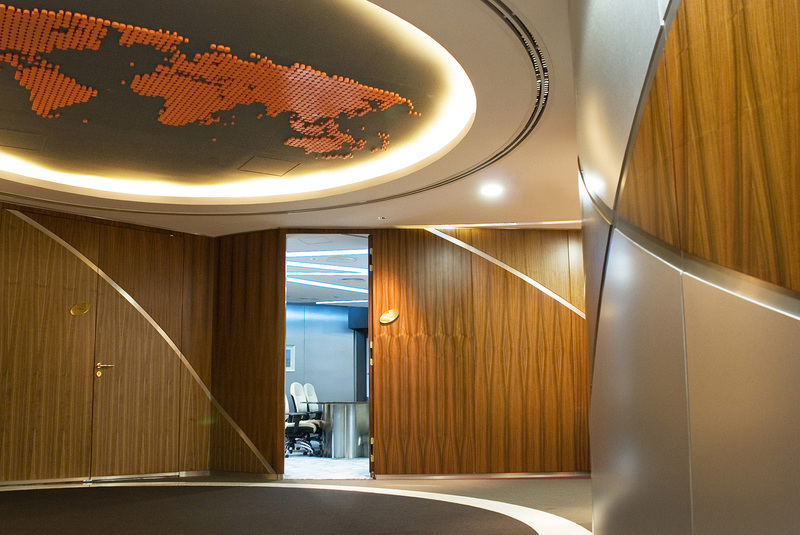 As the client required a non-typical office this meant that we could let our creativity flow without any limitations. 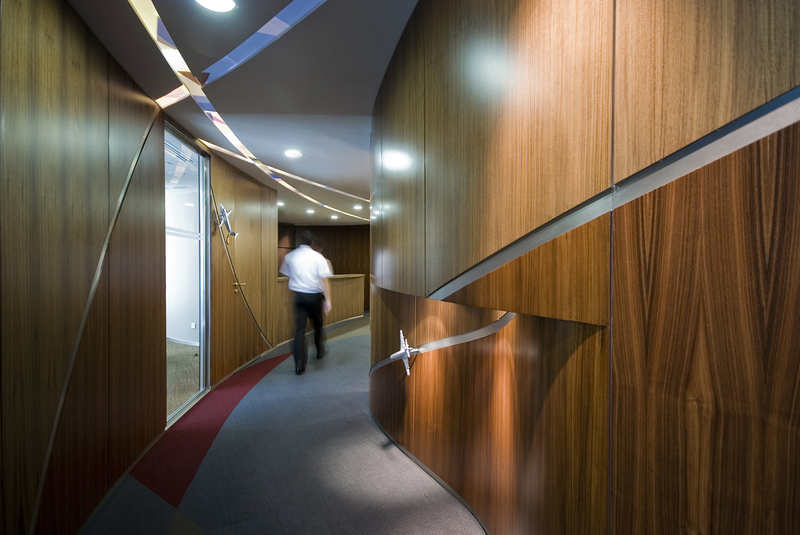 Achieving this effect subtly, abstract depictions of “non-conformist” energy flow waves were introduced to the design treatment of various office floors, walls and ceilings. On the diverse parts of the central corridor walls, air logistical representation were introduced to reaffirm the company’s multi tier air logistic energy support that transverse the world globally.